A wonderful choice of things to see and do. 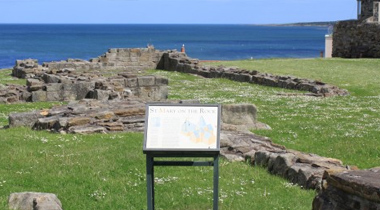 St Andrews Castle, the backdrop for many of the bloodiest episodes of the Reformation, consists of the ruins of the castle of the Archbishops of St Andrews, dating in part from the 13th century. Notable features include a ‘bottle-dungeon’ and mine and counter-mine, tunnelled during the siege that followed the murder of Cardinal Beaton in 1546. At the Cathedral you can climb St Rule’s Tower for magnificent views of the town and surrounding area. The Cathedral was founded in 1160 and was in use for three centuries, during which time it suffered damage by gale and fire, each time being repaired. The Reformation in 1560 heralded its final downfall. 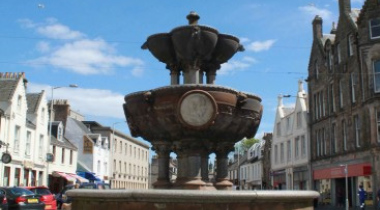 Following the coast from Kincardine to Newport on Tay, the Fife Coastal Tourist Route takes you to some of the Kingdom’s most attractive corners. From Fife’s famous bridges, passing through historic towns and fishing villages, and past sandy beaches that give a taste of all that Fife has to offer. The picturesque villages of the East Neuk (meaning ‘corner’) have a special atmosphere. Each village has its own character but the maritime influence is strong in all of them. At their heart are harbours, some of which are still busy fishing ports, others now used by pleasure boats. From Anstruther you can take a boat trip to May Island where, in early summer the sea-cliffs are covered with breeding Kittiwakes, Razorbills, Guillemots etc.. not forgetting thousands of burrow nesting Puffins. North of the Eden Estuary lies the village of Leuchars with its parish church (1180) one of the finest examples of Norman architecture in Great Britain. Beyond, the wonderful sands and forest of Tentsmuir, a national nature reserve which offers a wonderful playground for adult and child alike. Children are well catered for in the Kingdom. Apart from the stunning award winning beaches in St Andrews there is the Aquarium committed to the care of sea creatures and with over 30 displays, feeding demonstrations, seahorse parade and close encounters with sharks. The East Sands leisure centre has a pool and flume together with fitness suites. Offering something for everyone, the Scottish Deer Centre south of Cupar has many species of deer from across the world, together with falconry displays and an adventure area. Craigtoun Country Park, once the grounds of a spectacular family residence, offers boating, train rides, bouncy castle etc. Experienced Scottish falconer, Steve Brazendale's ability to communicate his passion for his sport with warmth and humour is unrivalled. Steve has an incredible connection with his birds, ensuring you’ll have the ultimate, most intimate bird of prey experience in Scotland. You can download the brochure here. Specialising in individual and family activities, Inspired Falconry is the perfect way to access some of Scotland's most fascinating and inspiring creatures: birds of prey. Whether you've got a passion or a just passing interest in birds of prey, a range of activity options can be tailored to suit you, depending on your time and size of party. You can enjoy a flying display where you will watch the planet's fastest creature and other falcons soar and swoop at close range or take part in a hawk walk, wearing a falconry glove while you watch your hawk float through the Fife countryside. Blown Away offer amazing experiences, Landyachting, Kayaking, Paddleboards, Zapcats and Twin Landyachts. See full information on thier website here. 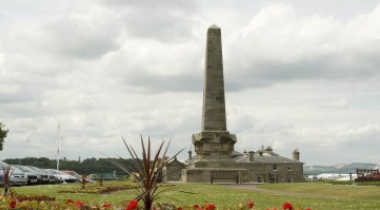 If you're looking for a fabulous place to take the kids while you are in St Andrews Craigtoun Park is it. Adventure playground, Putting, Zip wires, Cafe, Boating lake, Crazy golf, Pedal cars, Bouncy castle, Picnic trail, Greenhouses, Activity trail, it has it all! See more on their website here. The St Andrews Botanic Garden has been described as a 'hidden gem' of Scotland . The Friends of St Andrews Botanic Garden have spend huge amounts of time and effort to make this garden a wonderful experience. See more on their website here. Nestled on St Andrews' dramatic north facing cliffs, with stunning views of the famous west sands and St Andrews Bay, St Andrews Aquarium boasts one of the finest coastal locations in the historic town. Step through our doors and be transported into an underwater world of adventure and discovery. Come face to face with some of the most beautiful, fascinating and dangerous creatures of the watery worlds. From British sharks to spiders, lobsters to lionfish, poison dart frogs to piranhas, loveable seals...... and not to forget our fabulous meerkats. See more on their website here. Covering over 500 years of golfing history hte British Golf Museum is a must see for all golfing enthusiasts. It was completely refurbish in 2016 and the new facilities are amazing. See more on their website here.